My copy of The Sister, is the 2014 edition. Apparently, some of the problems in the 2012 edition have been corrected. The perfect murders are the ones where the murderer is never discovered. 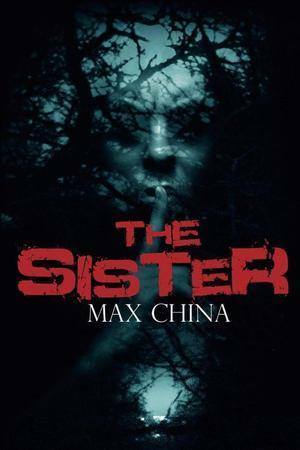 As The Sister is a traditional mystery-thriller, that cannot happen. Having said that, the boiler-suit murderer seems a likely candidate for a murderer who might never have been caught in real life. That has to do with his methods. When we are introduced to him, we find ourselves in Cornwall during the summer of 1967. The year my sister was born. 20 August 1967 three things happen simultaneously. The Milowski family decides to go on a picnic not far from a haunted site. Something he sees through a telescope unsettles seven-year old Bruce, and he decides to investigate that feeling. He is too young to realize how dangerous following such hunches might be. At the same time, the above-mentioned Lee follows in the foot-steps of her disappeared boy-friend. At the same time, at Celtic Deep, Vera begins seeing things, and the first thing she sees is the death about to happen. All three lives are irrevocably changed, while the boiler-suit serial killer gets to keep on doing what he enjoys most in the world. The Sister is about power. The lengths to which we are willing to go to have it and the lengths to which others choose to go to take it from us. Max China also shows us some long-term effects of traumatic events. Some of these ways of dealing with trauma, reminds me of how I used to deal with my own experiences. I was also reminded of the strength it took to discover how to live with PTSD and to acknowledge the effects of that survival. China’s serial killer is frightening because he is believable. Watching programs and reading articles about real life serial killers has shown me that the boiler-suit killer would fit right in. Vera’s powers are what brings The Sister into the realm of fantasy/paranormal fiction. I would not want a stone like the obsidian stone in my life, nor would I wish the slightest ability to see into the future. I liked Vera. She is a woman who chooses to bear burdens that most of us would be unable to carry. The editing of The Sister is good. It is a relief to read a story where the author understands the words he uses, has a basic understanding of spelling and grammar, seems to have the ability to listen to what editors and beta-readers suggest and understands the music of words. In addition, the characters are believable. While I might not like all of them, they are people I can relate to on some level. Yes. Even boiler-suit man. Finally, I prefer the third-person point of view China uses in his storytelling.